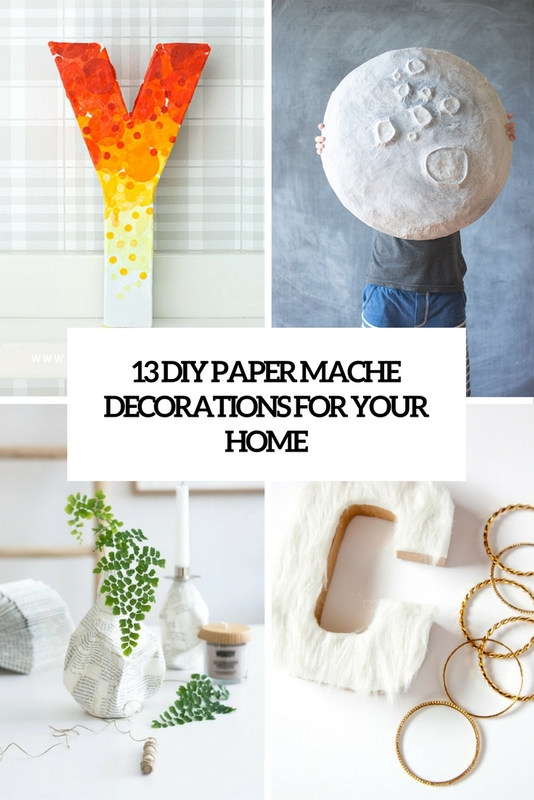 Paper mache is a cool thing, using this technique you can create a lot of fun and eye-catching home decorations. You can make your own paper mache or use the existing pieces and decorate them the way you like. The first craft is about decorating a monogram that you like. 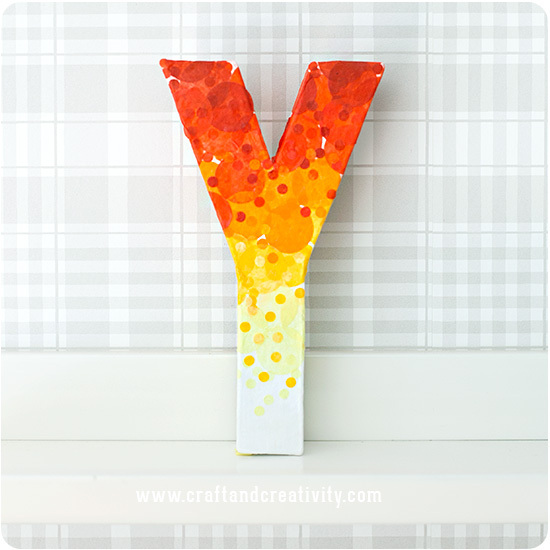 Choose the right paper mache letter and decoupage it the way you like, here this is ombre yellow and orange décor with dots but you can vary it a little bit if you want. The second craft is a kid-friendly one, here it’s completely made by a kid but you can make it together. 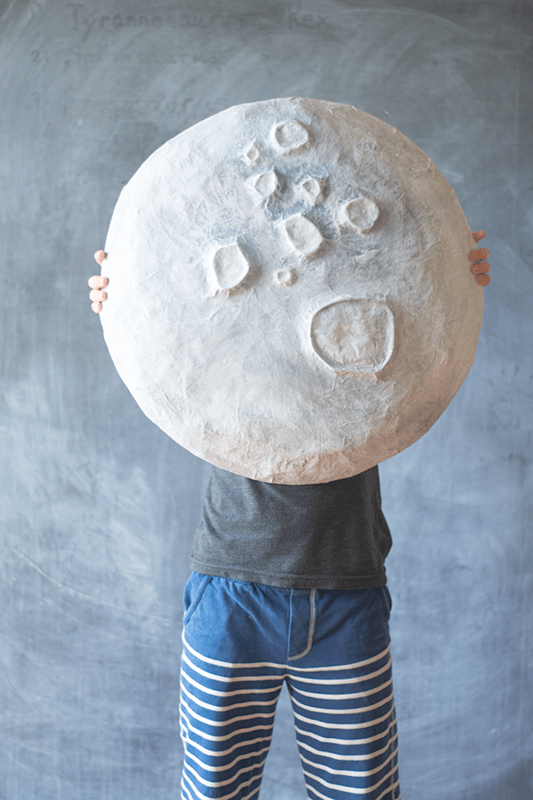 This giant paper mache moon can be a nice decoration both for an adult and a kid’s space, and it looks very realistic. 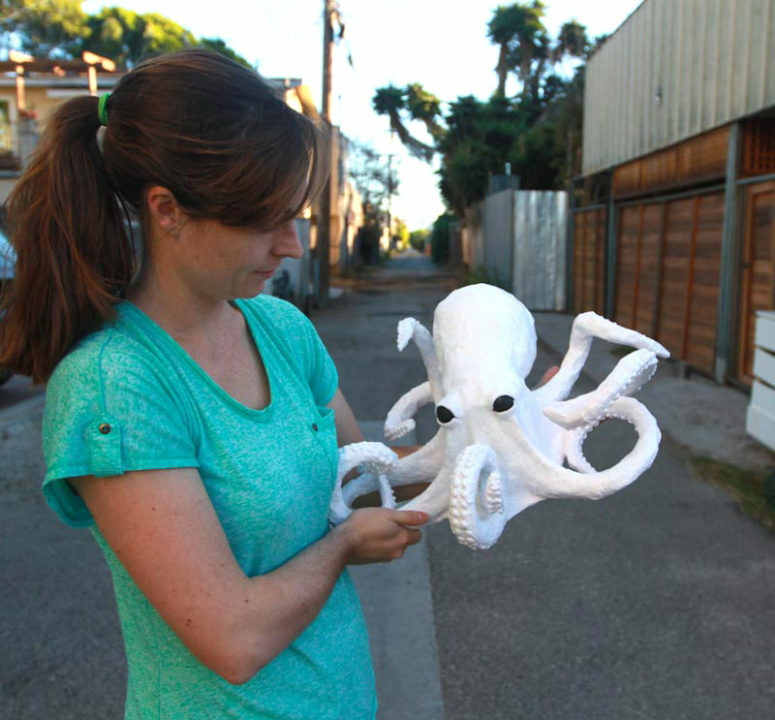 A big octopus for a nautical or seaside room? Yes, please! And you can make it yourself of paper mache, nothing difficult, the main idea is that It should be similar to a real one, so read the tutorial to find out how to make it look alike. 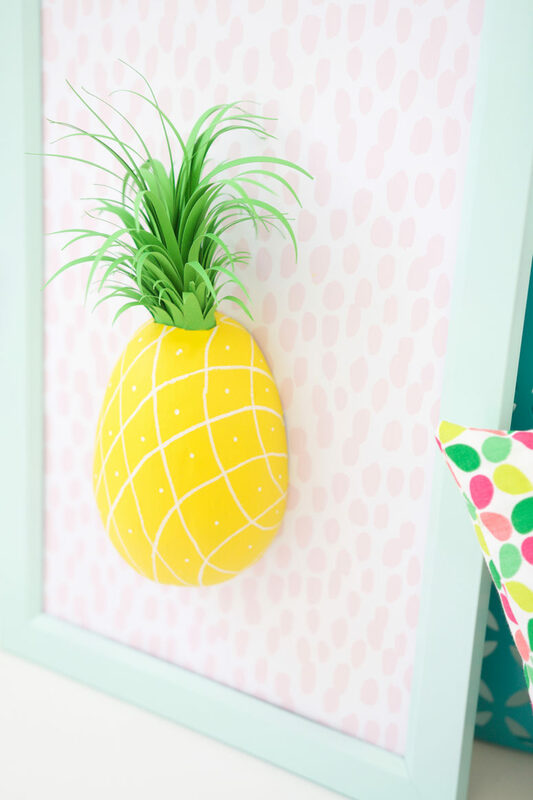 This fun artwork is a voluminous paper mache pineapple in a frame. Make a paper mache of the size you want, then choose a frame and attach the piece inside to the canvas. Find out more details in the tutorial. 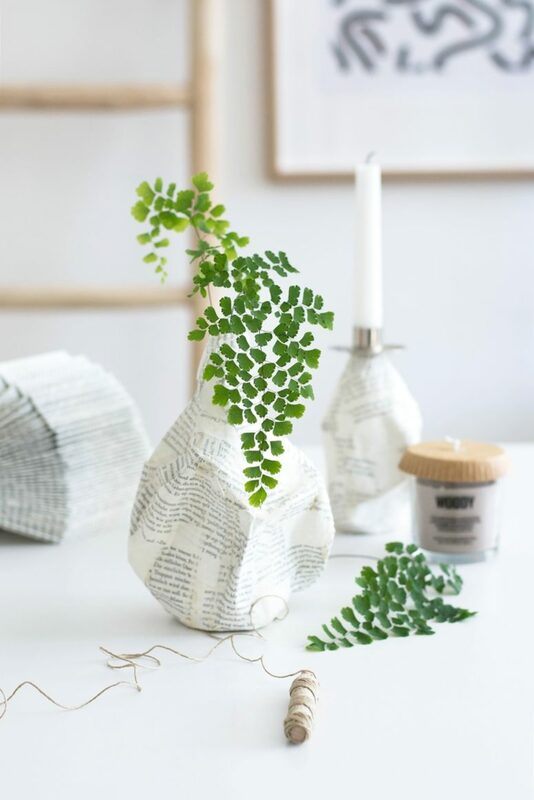 This paper mache vase is based on a bottle that is covered using this technique. Newspapers give the bottle a cool modern look, and it contrasts with greenery and flowers. Buy a bunch of $1 paper mache Christmas ornaments and turn them into bold ones using acrylic paints and various stencils and tapes. 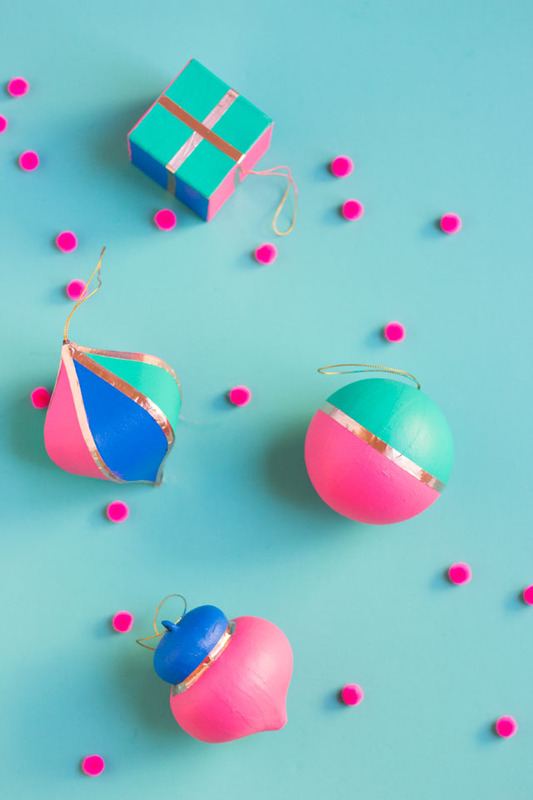 Rock the colors and stencils you like and get a pack of colorful Christmas decorations for cheap! 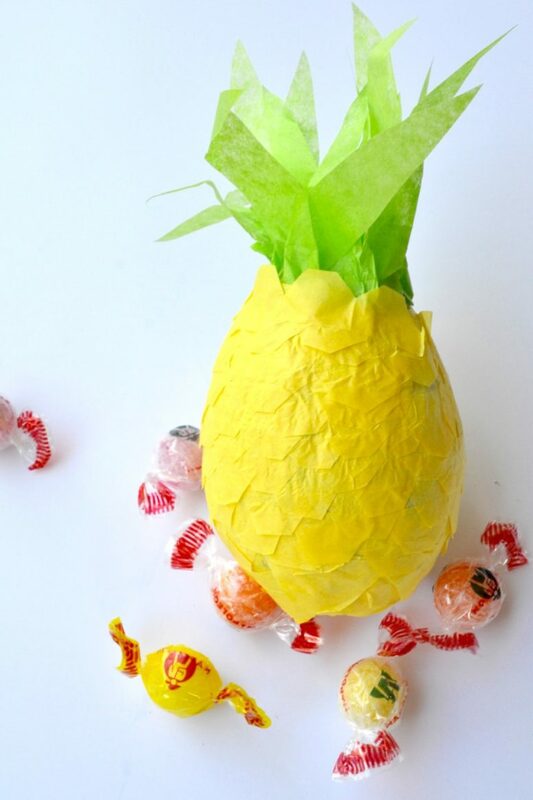 One more pineapple for our roundup! This is a colorful piñata filled with candies, a perfect idea for any party. You can vary the type of fruit you make – a watermelon, an apple or an orange. 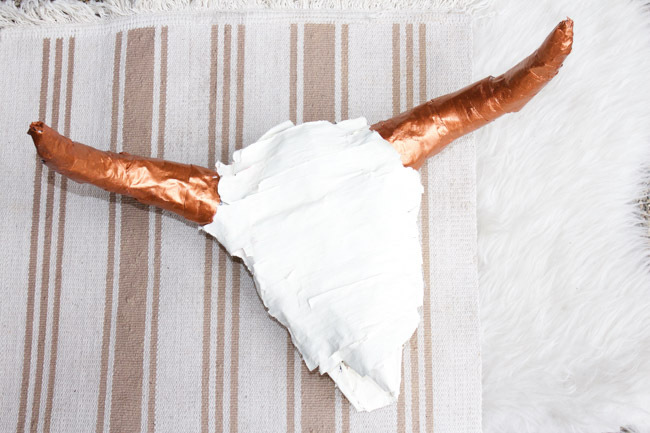 A cheap faux cow skull can be turned into a cool stylized decoration using paper mache technique. The skull remained white and the horns were covered with copper tape. 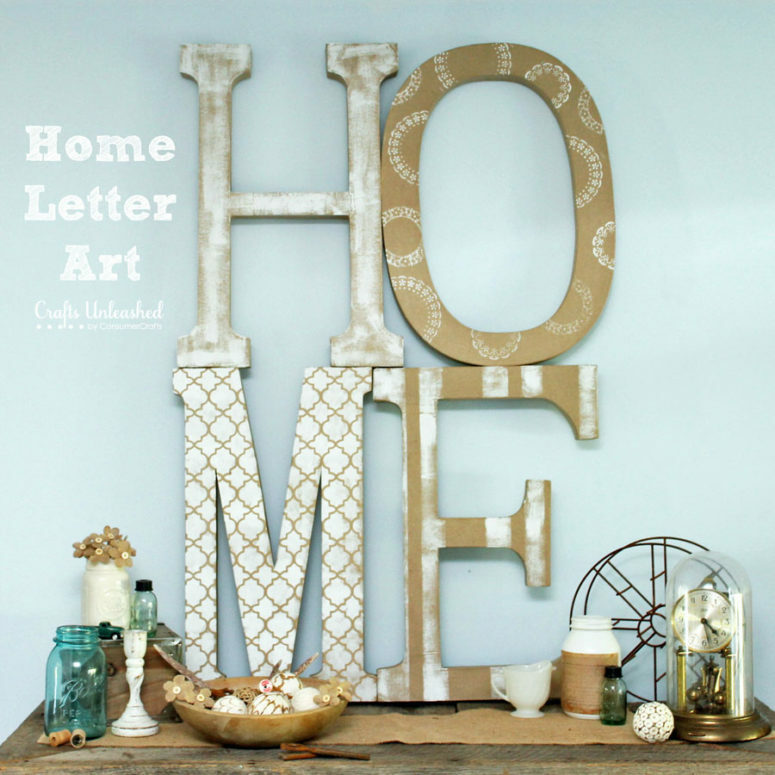 Decorate a paper mache letter with faux fur and add a glam touch to your space with it. 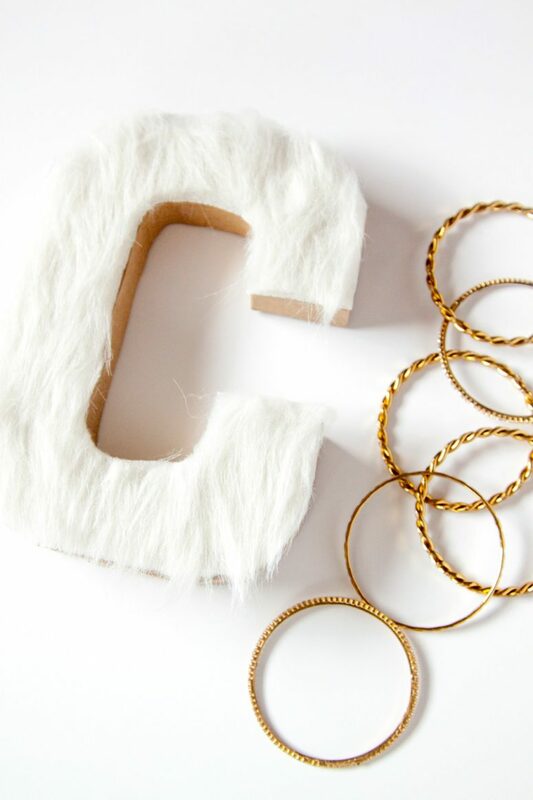 Glue the fur to the letter using hot glue and voila! 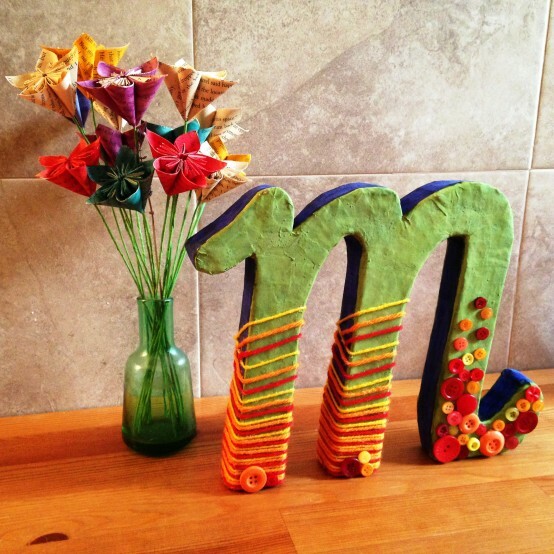 Another idea is to decorate the paper mache letters with colorful washi tape, it’s even easier than gluing fur! 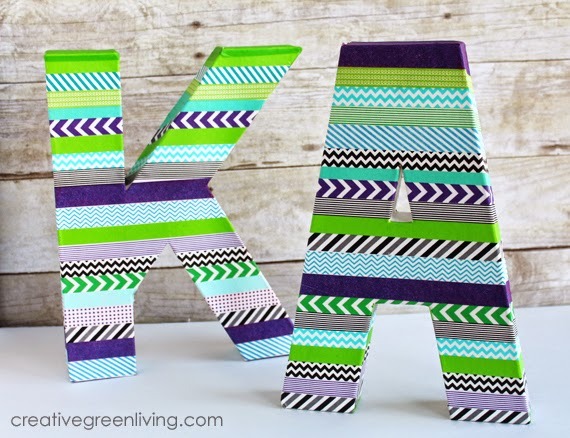 Rock colorful tape you like that matches your décor, make as many letters as you need, so simple! Not satisfied with look and shapes of paper mache letters that are being sold? Make your own ones and decorate them the way you like! Here the letters are covered with colorful yarn and buttons. Keep your kids busy with this craft! 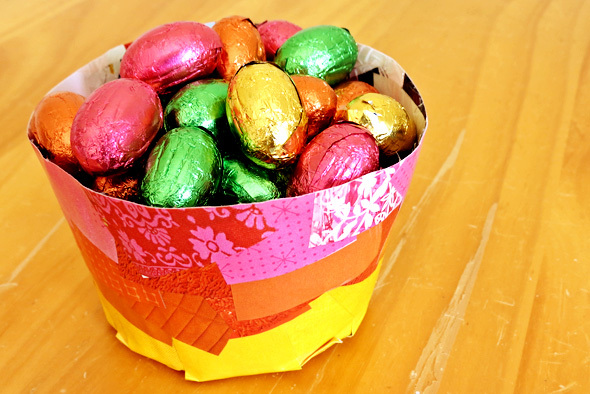 These are bold paper mache kids’ containers. They can hold candies, decorations and even small toys, and your kids will have fun making them. One more tutorial on decorating paper mache letters, and here they are oversized. The letters are painted and stenciled differently, to find out how to do that, read the tutorial.